The BOOST teeth bleaching system gives you amazing results with very little time or effort required. The BOOST teeth whitening system can effortlessly whiten and brighten your smile dramatically. It is an easy, one-visit procedure with simple, visible results. 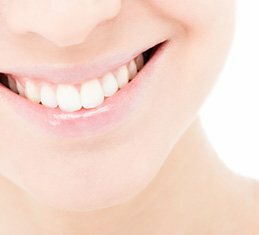 When you come for teeth whitening in Sugar House, our dentist, Dr. Theurer, will discuss your options with you, which might include dental veneers. If you choose the BOOST by Opalescence teeth bleaching system, Dr. Theurer will begin by painting the special whitening gel on your teeth. Once that is finished, he will then shine a special light on your gel-covered teeth to finish the whitening process. The difference in your smile will amaze you. You will be astounded and impressed that BOOST can lighten your teeth up to eight shades, safely, after just one treatment! You will walk in with a smile that has become dull over time and walk out with a smile that is dazzling in no time! First, the pre-made trays that come in over-the-counter kits are made to fit every mouth, not just yours. However, with our professional take-home teeth whitening system, the trays are custom made from molds taken of your mouth, so the teeth-bleaching gel gets to all the areas of your teeth directly, every time you put them in. Second, the professional-grade gel that comes in our at-home teeth whitening system is far more powerful than anything that comes in at-home teeth-bleaching kits that you can purchase over the counter at the supermarket. The professional system for take-home teeth whitening that The Sugar House Dentist offers works gradually. To use it, you put the teeth bleaching gel in the trays and then place the trays over your teeth, keeping the trays in your mouth for several hours or overnight. Within a period of time, which is usually a few weeks or less, you will see a notable difference in the brightness and color of your smile. With a professional take-home teeth whitening system, it is necessary to have your teeth whitened again regularly to keep your smile as bright and white as possible. This alone may inspire you to try our quick, one-time BOOST teeth whitening treatment instead. Whichever system you choose to use, even if you need dental veneers, we are excited to offer top-tier teeth whitening in our Sugar House dentist office. Come see us soon, and we will help you attain the nicest, whitest, brightest smile we possibly can. We can also help with TMD if you are experiencing any headaches or jaw pain. To set up an appointment or an initial consultation to discuss your options, we invite Salt Lake City – Millcreek UT area patients to call today!